Are you looking for a Winther child transport bike? As a pioneer, Winther has made bicycles in Denmark for a long time. Winther has multiple models for children and luggage. 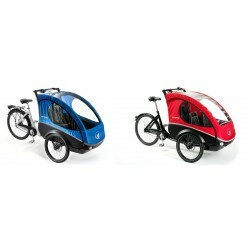 The bicycles for children are Winther Kangaroo lite 4, Winther Kangaroo luxury 4 and the Winther Cargoo 4. For luggage, the Winther Cargoo and Winther Wallaroo models are suitable. Undoubtedly the most luxurious bicycles. Winther child transport bikes There are 2 products.